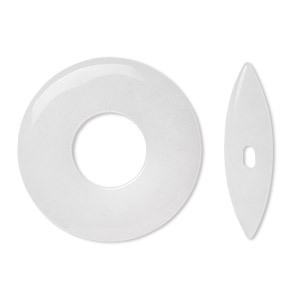 Item Number: H20-9034NB Have a question about this item? 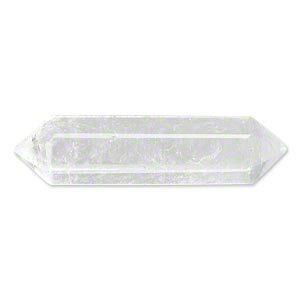 Undrilled double-pointed snow quartz focal is ideal for wire-wrapping projects. 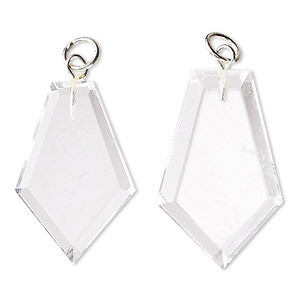 This quartz focal provides distinctive style with natural beauty and geometric look. Works well as a necklace statement piece. 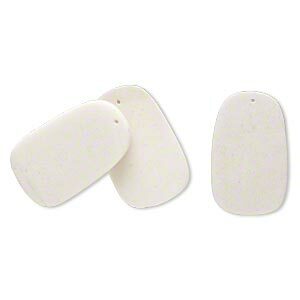 Focal will vary in size, shape and color. 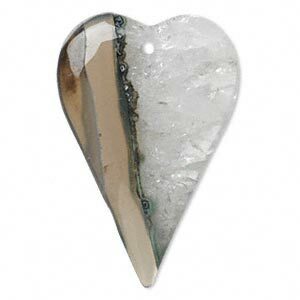 Focal, black agate and quartz (dyed), 45x30mm heart, C grade, Mohs hardness 6-1/2 to 7. Sold individually. 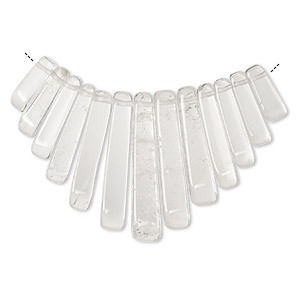 Clasp, toggle, snow quartz (natural), 45x6mm round donut with 38x10mm bar, B grade, Mohs hardness 7. Sold individually. 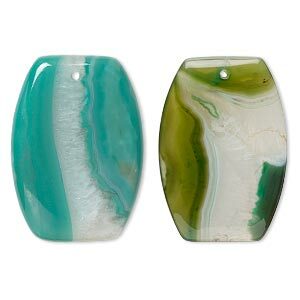 Focal, green agate and quartz (dyed), 50x35mm flat drum, B grade, Mohs hardness 6-1/2 to 7. Sold individually. 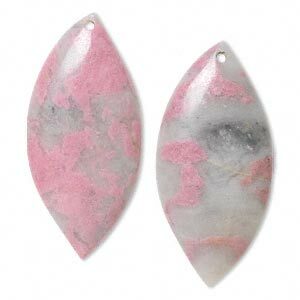 Focal, rhodonite with quartz (natural), 56x26mm single-sided marquise with flat back, Mohs hardness 5-1/2 to 6-1/2. Sold per pkg of 2. 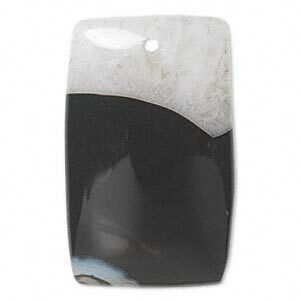 Focal, agate (natural), 38x35mm-42x38mm undrilled freeform slice with druzy, C grade, Mohs hardness 6-1/2 to 7. Sold individually. 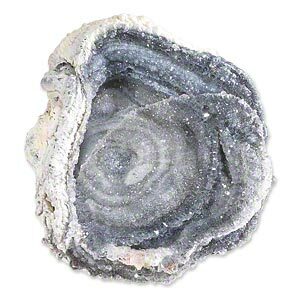 Focal, quartz crystal (natural), 10-29mm graduated mini-fan, B grade, Mohs hardness 7. Sold per 13-piece set. 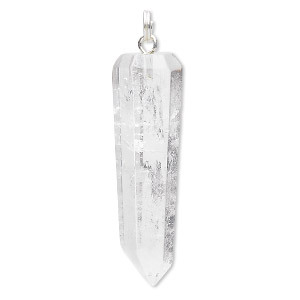 Focal, quartz crystal (natural) and sterling silver, 40x13mm point. Sold individually.